This was a summer of dog books for me. Inspired by some of the comments after my post about The Story of Edgar Sawtelle, I ordered stacks of dog books from the library—most of them non-fiction. 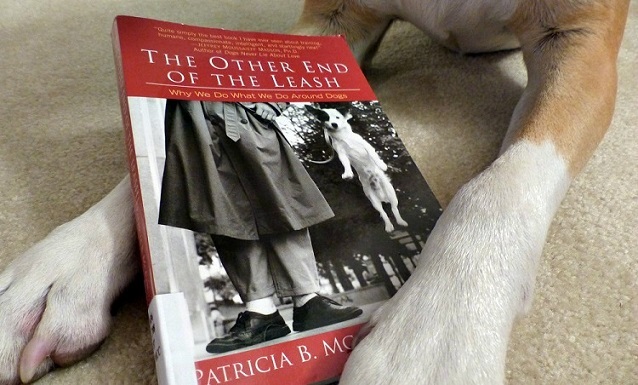 One book rose to the figurative top of the stacks: The Other End of the Leash by Patricia McConnell. The author, Dr. Patricia McConnell, is an adjunct associate professor of zoology at the University of Wisconsin-Madison. I appreciate that her knowledge of dogs is rooted in research. She references academic studies and discusses other species as well as wild dogs, wolves, foxes and pet dogs throughout the book. Her academic background makes for a very thorough discussion of dog behaviour. She is also a certified Applied Animal Behaviourist and has her own company where she trains dogs and treats aggression. Each section of the book begins with a case from her own experience and other real stories are interwoven throughout the book. These examples illustrate the lessons she shares and helped me understand how my dog may be interpreting my behaviour and how to better communicate what I want him to do. She’s a dog owner herself and obviously loves her dogs. This makes her commentary very real. She owns up to situations where she herself has not done the right thing in training her dogs. 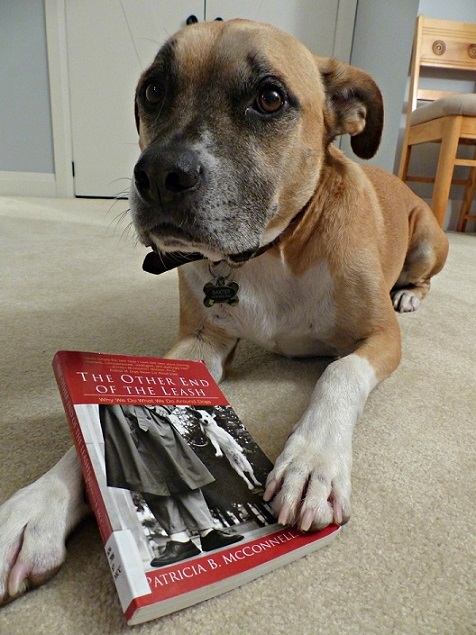 She respects human nature and gently coaches readers on how to think canine. The differences between primates and canines are a key theme throughout the book and were some of the biggest ah-ha moments for me. Humans communicate primarily by speaking. For dogs, their communications are largely physical (aside from the all-important scent). McConnell gives very specific examples and tips to help me be more aware of what I’m saying through my body language—and likewise what my dog is saying through his. The Other End of the Leash was a thought-provoking read, and it’s been rewarding to apply some of the lessons in the book and see Baxter respond to me in different ways. While I learned a lot about dogs, the book really is about the one who’s at the other end of the leash—the human end—and helping us primates have a better relationship with our canine family members. Has anyone else read The Other End of the Leash? Do you have any favourite training books to recommend? 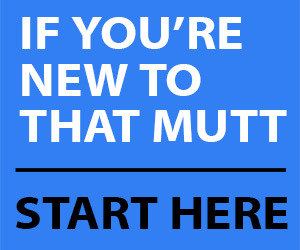 Julia Thomson is a regular contributor to That Mutt. Visit her blog Home on 129 Acres where she writes about country living and DIY renovating. Yes … and that is not easy! I need to re-read the book as it’s just so full of helpful info. The fact that you still remember it years after reading it shows the quality of the book. I’m glad you found it helpful. 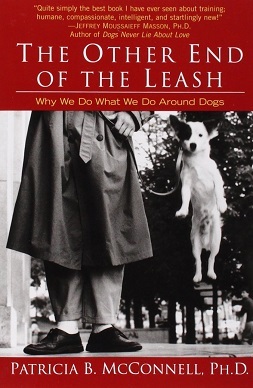 I`ve been reading a lot of books on dogs and The Other End of The Leash is one of my favorite ones.It`s a great time to work with dogs,theres a lot of information out that wasn`t around when I was a pup.